This new scheme was proposed to create an attractive entrance to the Quedam Shopping Centre in Yeovil inviting pedestrians from Middle Street. It was designed to draw attention to the St Johns Church opposite with the comparison of new and old. 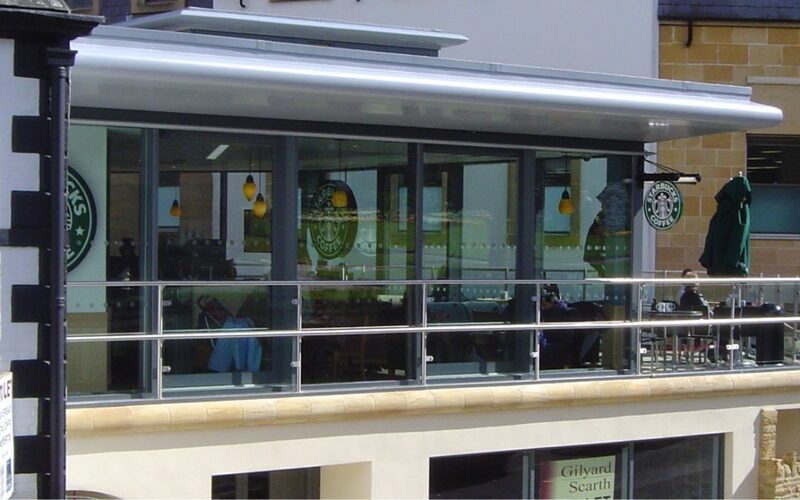 As part of the development, The Kings Arms Public House listed building was converted into commercial office space and below the main Starbucks building made ready for rent to a small boutique or shop.